The book is a memoir. It is neither a history of Iran, nor an overview of the Pahlavi Dynasty. 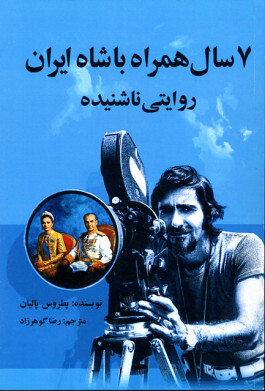 It is not a work of political science although the author includes his interactions with the Pahlavi family during the seven years he worked as the personal cinematographer to the Shah. The author also writes about his childhood in Iran, late teen years spend in the mysterious desert, and then his adventures in New York City as well as around the world. The book contains the author's insights and reflections, as well as the impressions of the people and places he encountered and which so greatly impacted his own life and his career as a cinematographer during which he filmed 20 world leaders, including Queen Elizabeth, Charles de Gaulle and President Eisenhower.